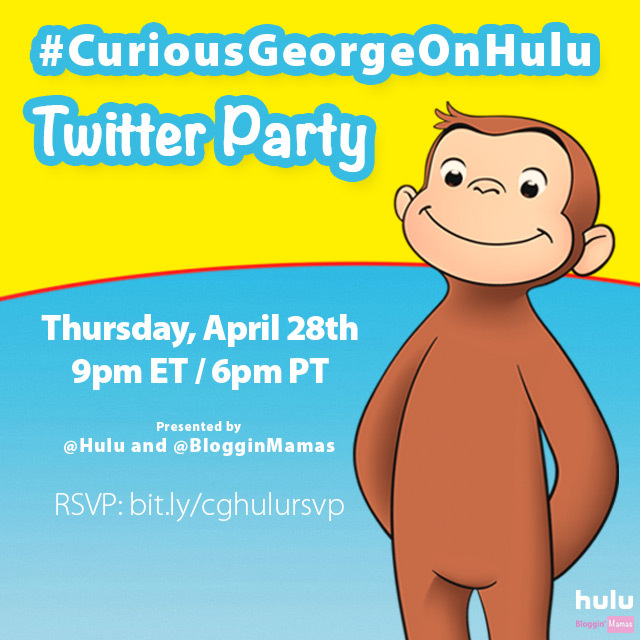 In April 2016, Blog­gin’ Mamas orga­nized and hosted a Twit­ter Party to promote the launch of Curious George on Hulu. We uti­lized the #CuriousGeorgeonHulu hash­tag. Hulu provided an Apple Tv 4, a Roku 4, Hulu subscriptions and Curious George plushes as prizes. ● Eight (8) Pre-Chat Blog­posts with Social Media Ampli­fi­ca­tion. ● 92.09% of Tweets were @Mentions or RT’s= High Engagement Rate.